Photograph of Zina Richard Merante of the Opera Ballet. Photography was a novel and exciting development in Victorian days. 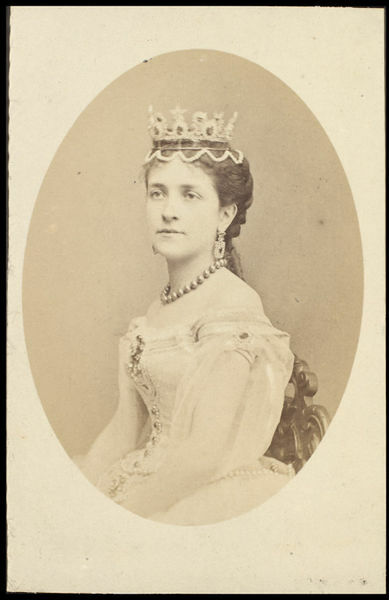 Most actors and actresses had studio photographs taken, in everyday dress or theatrical costume, for ‘cartes de visite’, and later ‘cabinet cards’. Both were albumen prints made from glass negatives, attached to stiff card backing printed with the photographer’s name. ‘Cartes de visite’, the size of formal visiting cards, were patented in 1854 and produced in their millions during the 1860s when it became fashionable to collect them. Their subjects included scenic views, tourist attractions and works of art, as well as portraits. 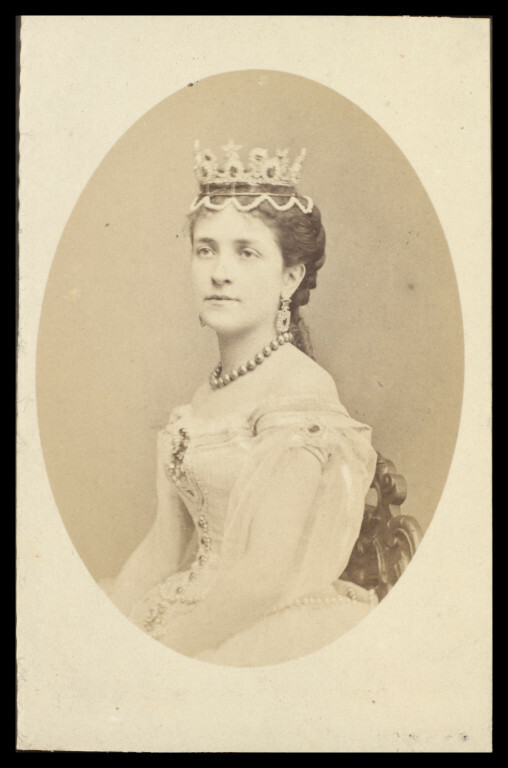 They were superseded in the late 1870s by the larger and sturdier ‘cabinet cards’ whose popularity waned in turn during the 1890s in favour of postcards and studio portraits. 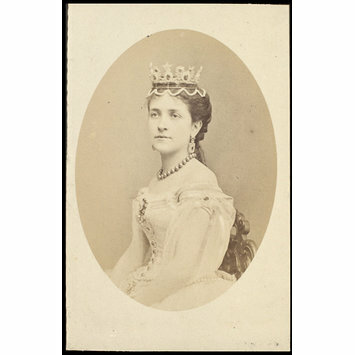 This photograph comes from a large collection of ‘cartes de visite’ and ‘cabinet cards’ removed from their backings and mounted in albums by Guy Tristram Little (d.1953) who bequeathed them to the V&A. A collector of greetings cards, games and photographs, Guy Little was a partner in the legal firm Messrs Milles Jennings White & Foster, and the solicitor and executor of Mrs. Gabrielle Enthoven, whose theatrical collection formed the basis of the Theatre Collections at the V&A. Sepia photograph of Zina Richard Merante of the Opera Ballet. Written in pencil on reverse of photograph, probably the photographer's name. This is one of the outstanding collection of 19th Century photographs owned by Guy Little presented to the museum in the early 20th Century. Photograph of Zina Richard Merante of the Opera Ballet. Guy Little Collection.